27 - The Daily Prophecy. I have found that, during the process of writing a novel, I am drawn to certain entertainments in my off time. While writing Enchanted, I watched a lot of Jane Austen movies. While writing Hero, I was very drawn to the Summer Olympics...especially the women's swimming competitions. While writing Dearest, I re-watched most of Stargate: Atlantis...and all of Merlin. Despite my unwavering love of fairy tales as a child, I was never a big fan of King Arthur and the legends that surrounded him. "Tristan and Isolde" is one of those legends, most famously portrayed in a three-act opera by Wagner in the 1850's. Tristan and Isolde are the quintessential star-crossed lovers—you know, the kind that burns brightly and ends badly. I did not wish an unhappy ending for my true loves in Dearest, but I did want a similar fire from my own Tristan. I will admit as well that my evil Mordant was loosely based on King Marke, and his sorceress, Gana...well...yes, I might have pulled her origin story a bit from Arthur as well. Have you read this series? What did you think about it? Thank you, Mel, a million times over. :) I hope you love Dearest! I want to reread Enchanted. The other two were less.. successful for me. Nice post and this series now sounds like it's very interesting.. I'd like to read them. TFS. 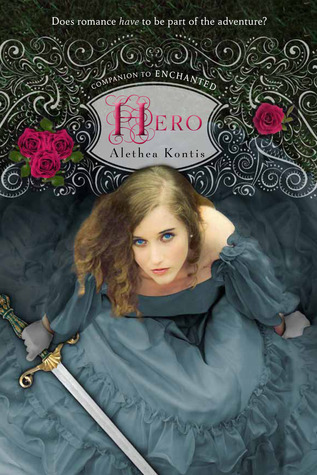 I liked Enchanted, though I haven't read Hero. How cool that she watched very specific things while writing. I have to say, I always loved the story of Tristan and Isolde, so to hear both her inspiration for her Tristan and that it's based on the Seven Swans story, I'm going to have to read Dearest! :) Great post, Mel! 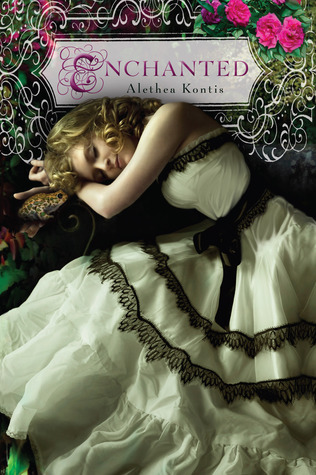 I ADORED Enchanted when I read it shortly after it's publication, but I've just fallen behind and haven't read the rest of the series yet! I'm really looking forward to reading this rest this summer, once I have a little bit more time. Great post! Another fairytale lover, great :D!